With its multi-performance formula, the new Shine Creator Lipstick brings together three proven properties: the shine of a lip gloss, the comfort of a lipstick and the hydration and protection of a lip balm. Pomegranate oil is a bountiful source of anti-oxidants and Omega-5 fatty acids that counteract the harmful effects of free radicals, nourishing and protecting lips from the environmental aggressors, while Vitamins A and E have moisturising and soothing properties. Explore the entire range of Lipstick available on Nykaa. 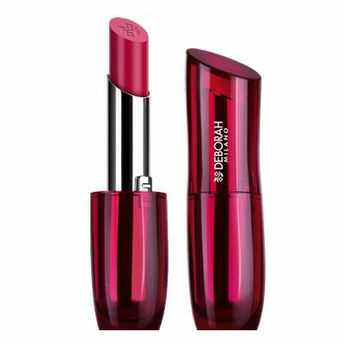 Shop more Deborah products here.You can browse through the complete world of Deborah Lipstick .Alternatively, you can also find many more products from the Deborah Shine Creator Lipstick range.